One fateful night, Mia and her best friend Jody stow away in the Bradford Museum to investigate the mysterious mummy exhibit from the Cairo Museum. 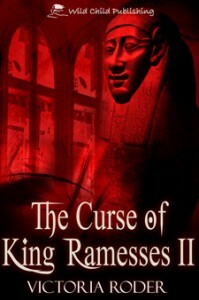 Rumors of the Curse of King Ramesses II have surfaced. It’s believed that due to the king’s tyranny the Egyptian people vowed to rise up against him. In revenge, Ramesses II vowed he would never rest until all of the perpetrators against him and their ancestors were brought to justice. Now, spend the night in the dark, deserted museum. Experience the roar of the dinosaurs, the cold blast of the arctic, and always run past the wall of skulls. Be prepared for a night of heart-racing action as the girls dare to solve the ancient Egyptian curse of King Ramesses II. Will Mia and Jody survive the investigation or will the mummified king’s revenge be fulfilled?